Brand new, never out of the case bra for a 2003 Carrera 911. Not sure what other models it will fit. This is a genuine Porsche front mask/bra part # PNA 50399607. 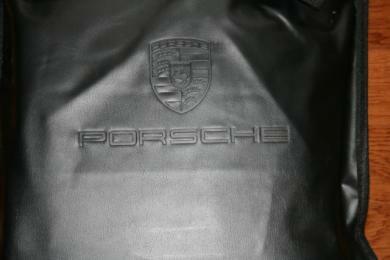 The bra itself is in a protective case embossed with the Porsche crest and the word PORSCHE below the crest, still in the original carton. These retail for over $150. Sold the car, now selling the accessories! Asking $100 or best offer. Very nice, you won't be disappointed!